Another Halloween is over and October now is past. The trees are getting bare and the cold is coming fast. Happy November. It is the season of the turkey! The calendar continues to slip away, day by day, and the end of the year is approaching. Sunday marks the end of daylight saving time and with it the darkness really begins to take over as the slide towards the winter solstice begins in earnest. Last evening's festivities were enjoyable observed with the grandsons. 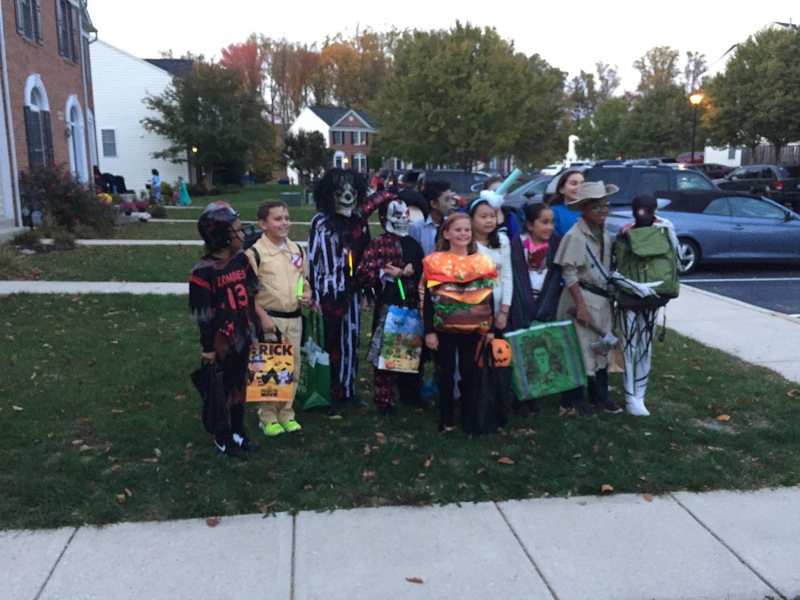 They conquered the neighborhood in Odenton and retrieved a major haul of candy from the generous homeowners. There were a number of excellent costumes. 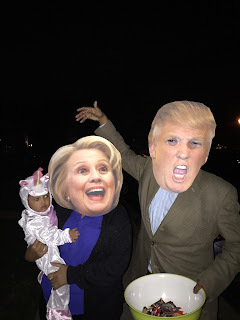 And, I even spied the presumptive future President of the U.S. out trick or treating in the neighborhood. Both candidates were out together carrying a baby. I took a picture as proof. I was surprised that "The Donald" was not wearing a red tie, however. But the fun and games of October has become the serious contemplation of the November national election. It is time, America, to choose our next President. I do not recall a race as tumultuous since the 60's. And November has arrived. It is decision time now that the fun times are behind us.